In order to understand how to feed a horse, we must understand how the equine digestive system works and why it is drastically different from animals with simple gastrointestinal (GI) tracts. All mammals have similar nutrient requirements at the tissue level. Simple GI tract animals must ingest numerous required nutrients to survive. However the majority of the horse’s required daily nutrients are manufactured by microbes in the lumen (space) of the caecum, or hind gut, allowing the horse to survive on a diet restricted to grass and grass seeds only. Also, these microbes perform the critical function of converting grass cellulose to calories as the main equine calorie source. In contrast, simple GI tract creatures depend on calories obtained from ingested fats, starches, sugars and carbohydrates. Cellulose equals calories for horses while cellulose equals fibre for humans and other simple GI tract species. 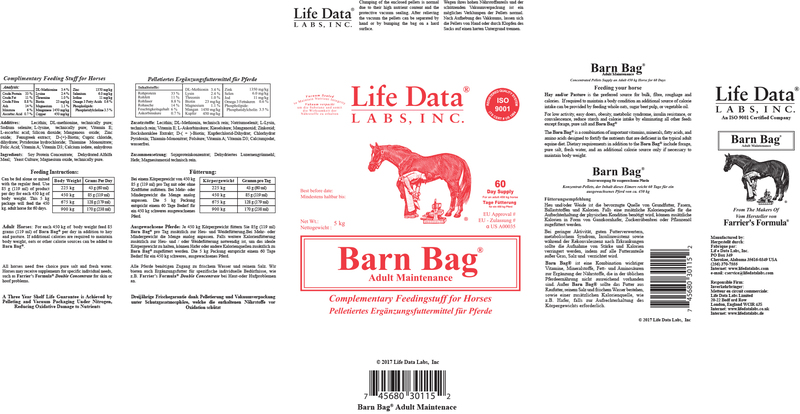 Based on Life Data Labs, Inc. research, a diet of grass hay and/or pasture and oats most nearly meets the nutrient requirements of adult pleasure and performance horses and thus requires fewer additional nutrients to balance the diet. These additional nutrients are supplied in the correct amounts and ratios in the Barn Bag® Adult Maintenance for equines. Broodmares and growing horses require additional nutrients for growth and lactation. 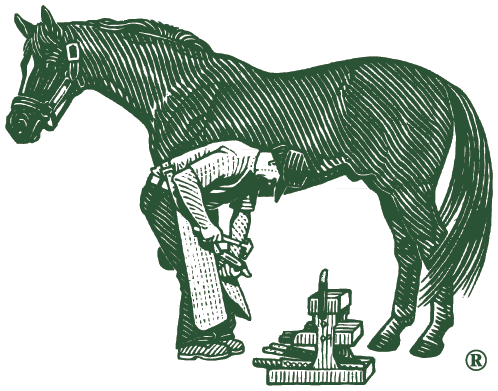 If the horse is fed grass, hay and the Barn Bag® Adult Maintenance to meet the known requirements, without nutrient excesses, the horse will adjust or “reset” his metabolism to enable him to reach his maximum potential. An individual horse may have “special needs” such as joint or hoof problems and can benefit from a supplement. However, it is only after fulfilling the individual’s known nutrient requirements, without excesses, that we are able to determine if a horse has these “special needs”. In contrast, when feeding the Barn Bag® Adult Maintenance and grass hay and/or pasture the daily nutrient requirement can be separated from the calorie requirement necessary to maintain the correct body weight. Whole oats (a grass seed) is the preferred grain for the horse that requires additional calories.